John DeWald is the principal at RhodesMoore and John DeWald and Associates, development companies that focus on infill projects on difficult sites. John’s expertise is creative lifestyle communities that implement sustainable solutions to urban and rural redevelopment. John has worked on both self-initiated development projects and for fee development support. He creates the project’s programs, concepts, entitlement and financial strategy and manages all aspects from site selection to operation including site acquisition, financing, entitlement, design and permitting, construction, stabilization and operation. John has been involved in a wide variety of development projects that have included single family residential, multi-family residential, hotel, residential care, commercial, restaurant, office, market, research, farming and natural areas restoration uses. He has been the principal developer in over 15 projects in North County San Diego, Chicago, Hawaii and other locations worth over $200M. John has navigated these projects from site selection, acquisition and financing to design, entitlement, permitting and construction. Over the course of ten years John has won approvals for all of the projects he has initiated. His projects are very innovative and focus on blending the projects into the surrounding community creating seamless infill. A few highlight projects include Pacific Station a $56M transit oriented, lifestyle community in Encinitas and Serosun Farms a $110M rural Agrihood, mixed use, farm preservation project. John is actively involved in the communities that he works in and has been a resident of North County for almost 30 years. He serves as a Trustee for the San Diego Botanic Gardens and serves on the board for the Pacific View Academy of Arts in Encinitas, CA. He is also On the Chicago Wilderness Corporate Council, and a corporate member of the Conservation Foundation in Chicago. He is the past President of the Encinitas Main Street Association and a past Board Member for the California Urban Forestry Council. Josh serves as the team’s asset manager and supports acquisition, design and development as well as provides operations oversight. Josh has direct line experience as a marketing director and executive director working for national senior housing operators such as Atria Senior Living (now owned by Ventas). He also worked as a private consultant responsible for asset management, including successful distressed property turnarounds; in 2012 Josh assumed responsibility for a 230-bed facility and took the property from the brink of bankruptcy to HUD refinancing to a successful sale in 2014. Josh is a principal in his own management and consulting company A & A Senior Living and Management.A & A is a San Francisco Bay area operator of over $150 million of senior living properties. 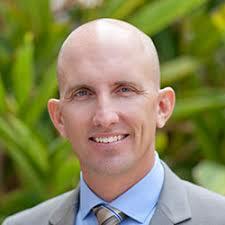 Josh holds a master’s degree in Organizational Leadership and is a graduate of California State University, Chico. 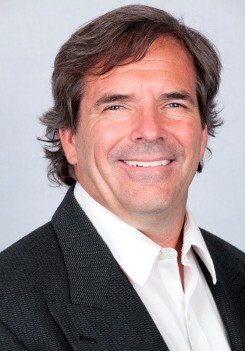 Greg Roderick is the CEO and principal at Frontier. 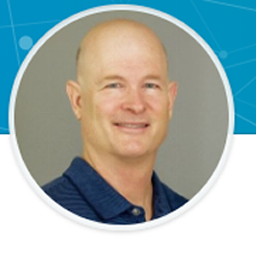 Greg has worked in the senior housing industry at senior or executive level capacity since 1989. 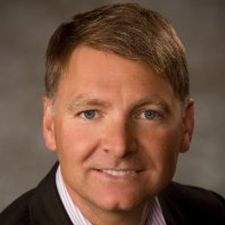 He has held management, marketing and finance positions with industry leaders including Holiday Retirement Corp., Regent Assisted Living, Inc. and Health Resources, Inc. He has held numerous positions including regional manager, regional marketing director, corporate marketing director, vice president of Operations and chief financial officer. Greg is the third generation of his family to be in the senior housing industry in an owner/operator capacity. Frontier is known for their strong back office and management capabilities and for their innovative programs, design and operations. Their focus on socialization, fitness and dining helps them to create a environment that is very appealing to the seniors in their markets. They are experienced in both ground up and rehab projects and partner with a select group of developers in the country. Famer D Consulting is our agrihood partner focusing on the design, development and operations of farms and community gardens associated with agrihoods and other community developments. Farmer D Consulting creates farms that inspire, connect and nourish individuals, families and communities to live healthier, happier lives. 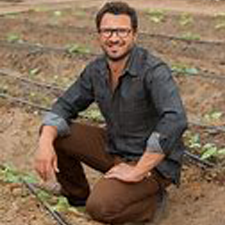 Daron Joffe is the principal at Farmer D and a nationally recognized biodynamic farmer, designer, speaker, educator and entrepreneur. Daron is the author of the acclaimed book "Citizen Farmers: The Biodynamic Way to Grow Healthy Food, Build Thriving Communities and Give Back to the Earth." He has spent the past 20 years designing and building community farms and gardens all over the country. Daron "Farmer D" Joffe has worked on a wide range of public and private farm development projects ranging from residential "agrihood" communities like Serenbe and Rancho Mission Viejo to non-profit projects such as Coastal Roots Farm and Camp Twin Lakes. RAR Hospitality is our hotel operations partner supporting the design, development and operations of the hotel and hospitality elements of our projects. RAR Hospitality is a regional Hotel Management group that manages and/or owns over 20 hotels with several different flags in the southwest including over 11 buildings in San Diego County. Cameron Lamming and Bob Rauch are the Principals at RAR. 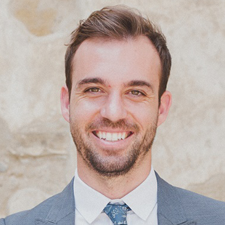 Cameron Lamming is a President and COO at RAR Hospitality focusing on the operations of the company as well as ownership relations. Prior to joining RAR, Cameron worked at Brixton Capital, an opportunistic investment vehicle with assets totaling over $4 billion, where he was responsible for the acquisitions group. His primary responsibilities included sourcing, analyzing and evaluating acquisition opportunities and executing business plans on more complicated projects. Over the course of two and a half years, Cameron executed 34 deals totaling $550 million. Prior to joining Brixton, Cameron worked for The Walt Disney Company beginning in Global Business Development for the Parks & Resorts Division advising senior leadership on domestic and international theme park, hotel, cruise line, and timeshare strategies. He later joined the Corporate Finance team that acted as the in-house financial advisor to the company. Among their primary responsibilities were overseeing the company’s capital structure and liquidity profile, managing Disney’s rating agency and banking relationships and taking on special structured finance and acquisition projects for the company’s larger transactions. He is a graduate of Stanford University.